Ahead of the 2019 EU elections, Macron’s Republique en Marche (REM) party is torn between creating a new political group in the European Parliament or sitting with the centre. EURACTIV France reports. Coalition or solo ride? 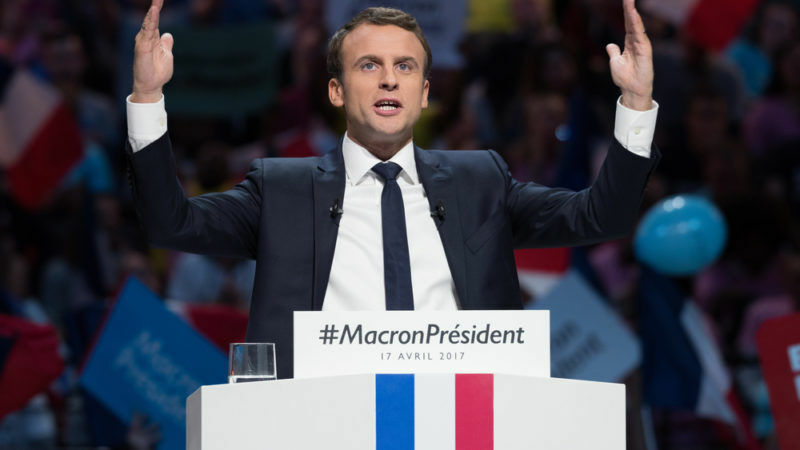 After Macron’s tour of France, the upcoming European parliamentary elections in 2019 have provided a new impetus to REM, the president’s party. This vote takes places every five years in all countries of the bloc. And since 1976, three large parties or “groups”, as they’re called in Brussels, dominate the assembly: the European People’s Party (EPP), the European Socialist & Democratic party (S&D), and the Alliance of Liberals and Democrats for Europe (ALDE). The latter, closer to Macron’s REM, hasn’t received any formal application from REM. “Formally, they haven’t yet become part of any European group,” said Didrik de Schaetzen, communication director for ALDE. On paper, political relations are quite real: Macron is close to Belgium’s Prime Minister Charles Michel and his Luxembourg counterpart, Xavier Bettel – whose parties are both affiliated with ALDE. During the presidential campaign, REM’s alliance with centrist political party MODEM – itself a member of ALDE group – had strengthened the links between Macron and Guy Verhofstadt’s group. But the affiliation is far from certain. “Regarding ALDE, [affiliation] will not happen automatically. We are more progressive than liberal. We want to speak with everyone,” said Arnaud Leroy, one of REM’s directors. “For the 2019 elections, we want to disrupt the European political game like we did in France. We are more inclined towards creating something ex nihilo,” he explained. REM’s ambition at the European level could prove harder than in France. “In France, we didn’t have a centrist party. But in Europe, there is less room for manoeuvre. Achieving what Macron did in France will be more difficult at European level”, said a European political source. “We need to speak about programmes: we don’t just want to talk about the eurozone, we also want to talk about citizens. People need to find the gist of the European project,” explained Arnaud Leroy. For now, contacts with different parties are multiplying in Belgium and the Netherlands, or with a part of the German socialists (SPD) and Greens, the Ciudadanos Party in Spain, and Renzi’s movement in Italy. And it’s with the last one that things could work out. “If Matteo Renzi wins the next elections in Italy, this could change Macron’s game,” said a Brussels source. The issue of alliances will have to be dealt with quickly. Macron has promised a “real campaign” for the European elections and the procedure of choosing a group leader or Spitzenkandidate forces EU groups to find an agreement on who to nominate months in advance. In 2014, European parties chose their candidates for the presidency of the European Commission ahead of the vote. And Jean-Claude Juncker, the EPP’s candidate, became EU chief after the centre-right won the majority of seats. For 2019, ALDE’s president Guy Verhofstadt could once again run for the liberals. The decision will have to be taken by the end of next year. But for the moment, REM does not reject the option of presenting its own candidate “against Verhofstadt”, explains Arnaud Leroy. “It is not easy to find people who are known at the European level – there is a real notoriety issue,” REM’s official admitted. Other political figures, like the chief Brexit negotiator, Frenchman Michel Barnier, could tick all the boxes. “He has the confidence of a president and we remain quite open as we already have Republican ministers,” said Arnaud Leroy. A European political aristocracy – the usual stuff – mostly representing special interests and with a remit to keep things going much as they are. describes macron, Merkel etc to a T. Some different? election of the next EP by regional lottery – all citizens in a given MS can take part. That would shake things up – but macron and the usual political dolts would never ever buy into that – it would upset the cosy political cartel that runs Europe. Mr M Parr: was your posted note earlier than 1308 hrs? Or was it timed to EU hours? WE found your notes interesting but convoluted, especially the punctuation between the places highlighted below…and the absence of named persons with capital letters to their family name. ……special interests and with a remit to keep things going much as they are ?>>. <>? <<election of the next EP by regional lottery – all citizens in a given MS can take part. That would shake things up – but Macron and the usual political dolts would never ever buy into that – it would upset the cosy political cartel that runs Europe. If the UK has no intention in being a member of the EU then the elections in 2019 (in which UKIP has made €URO Tens and Tens of Millions in its "lacklustre attendance" and " "exorbitant "costs" and "fees?" " then these issues will have little bearing. THe background discussions which are still awaiting reproach are the results of the Pana Committee meetings and the various comments about Parliamentarians and Governments hiding their moneys in the "hidden" jurisdictions.